Graham Phillips presents inaugural Giesecke Lecture Friday at 5 p.m.
What's going on in your department? 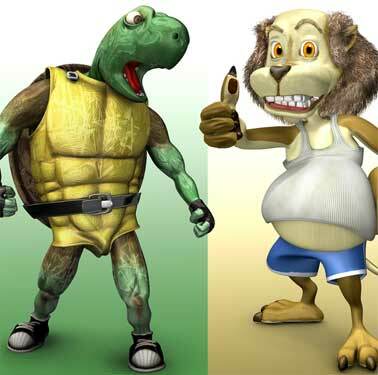 Follow the exploits of Serge the Turtle and Leroy the Lazy Lion in the student-animated short film "Some Assembly Required." That same evening, the restaurant will launch a three-week exhibit of 2-D work showing the animation process behind the short film, as well as other artwork completed during the College of Architecture’s Spring 2006 Artists in Residence program. A reception kicking off the exhibit will be held at 5:30 p.m. at the restaurant, located at 211 West William J. Bryan Parkway. At last month's Dean's External Advisory Council meeting, Preston M. Geren Jr. '45 (above) was recognized for his generous support of the college. See story below. Giesecke Lecture Friday at 5 p.m.
Graham Phillips, an internationally acclaimed architect and principal with Foster and Partners Architects in London will present the inaugural lecture of the Texas A&M College of Architecture’s new Frederick E. Giesecke Endowed Lecture Series. The presentation, examining Phillips’ three decades working alongside the firm’s world renowned founder and chairman, Norman Foster, is set for 5-7 p.m. Friday, April 7 in the Preston M. Geren Auditorium in Building B of the Langford Architecture Center. Elderly residents of long-term-care facilities may long to go outdoors, but the designs of their new homes do not always make that easy. Now, a Texas A&M University architecture professor is developing a multimedia guide to help designers of nursing homes and assisted-living complexes build environments that help residents enjoy nature. 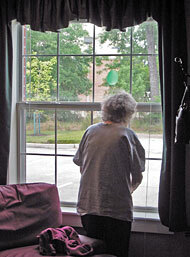 "Research in architecture and landscape design has revealed that professionals in these fields don't always know how to build elderly-friendly features that make the grounds of long-term-care facilities accessible to their residents," says Susan Rodiek, who is associate director of the Center for Health Systems & Design (CHSD), a joint research center of the College of Architecture and the Texas A&M System Health Science Center. "So several colleagues, including CHSD Fellows Elton Abbot and Marcia Ory, and I decided to put together a series of CDs showing them how." 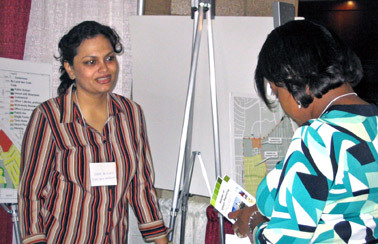 Sudha Arlikatti (above, left), a Ph.D. candidate, represented the Master of Urban Planning program at last weekend's Lone Star Diversity Fair. The MUP booth featured a variety of student projects from the past few years. Lisa Weston, visiting professor in Landscape Architecture and Urban Planning, also handed out program materials and spoke to students from across Texas. The Department of Landscape Architecture and Urban Planning’s Master of Urban Planning program was well represented in the inaugural Lone Star Graduate Diversity Colloquium held last weekend at Texas A&M University. The objective of the program was to help students from minority populations that are typically under-represented in Texas higher education learn more about graduate school and graduate programs available to them in Texas. The event also featured faculty workshops focused on recruiting and retaining students from diverse backgrounds. During the event, scholarships totaling more than $21,000 were randomly presented in $1,000 increments to 21 students attending the event. On Thursday, April 13, Evans Library will host a daylong training presentation by Artstor, non-profit organization that maintains a repository of hundreds of thousands of digital images and related data and provides tools to utilize those images. An introductory session is scheduled for 9:30-10:30 a.m. in Room 204E of the Evans Library. The session will be followed by a several sessions offering beginning, intermediate and advance training related to the use of the Artstor collection and software. ARTstor’s rich digital library offers coherent collections of more than 300,000 art, architecture and archeology images, as well as descriptive information. The organization’s software tools support a wide range of pedagogical and research uses including: viewing and analyzing images through features such as zooming and panning, saving groups of images online for personal or shared uses, and creating and delivering presentations both online and offline. The resource is available solely for noncommercial educational and scholarly uses. For more information or to register for one or more of the training sessions, contact Charles R. Smith at 979-862-1896 or crsmith@tamu.edu. Whoopstock, an annual unity festival staged to unite Texas A&M University and its surrounding communities is set for 10 a.m. to 2 p.m. Saturday, April 8 at the Aggie Fan Zone (in front of Kyle Field on Joe Routt). The fun-filled event includes ethnic foods, games, live entertainment, and educational activities. This year the event organizers are introducing Whoopstock Jr., a mini event for kids that includes children's games, activities, and special demonstrations. The discount is currently available at the Azimuth, Critical Care Café, 41st Club, the Pavilion Snack Bar and Life Savor Coffee Bar. *The offer is not valid at the Commons Food Court, Sbisa& Duncan Dining Center and Commons & Underground C-Stores. The offer is valid until Friday, May 12, 2006. 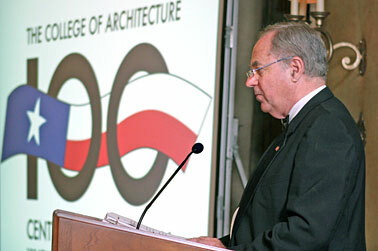 On Feb. 2, of this year, the College of Architecture revived the old Inside Track e-newsletter in a new format. The electronic publication has since evolved over nine issues. The Inside Track staff is very interested in receiving some feedback from the college community. How are we doing? Also, when initially launched, it was assumed that the faculty and staff would participate in the newsletter, using it as a medium for communicating news and announcing special events of interest to the college community. While we have enjoyed some successes in this area and are grateful to those who've submitted news items, for the most part the college is not responding as we had hoped. As a result, a considerable effort is made each week to identify and articulate college news and events that are not being called to our attention. If there is anything of interest to the college community going on in your department or unit, please let us know. Without your earnest, sustained support, many newsworthy items will likely go unreported and will not find their way into press releases and our external newsletter, archone. Dollhouse Build Day & Silent Auction: 3-5 p.m. Friday April 7 and 9 a.m. - noon Saturday, April 8 in the Langford A Atrium Kim Carlson's construction materials and methods class will set up their custom-built dollhouses as part of this semester's Build Day project. 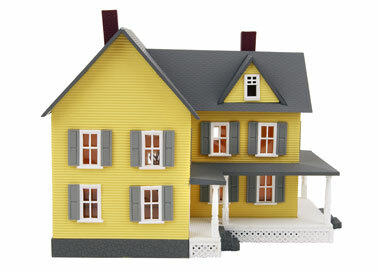 The dollhouses will be sold in a silent auction with proceeds going to construction science scholarships. For more information, contact Kim Carlson at kimcarlson@verizion.net. "My Three Decades with Norman Foster" the inaugural lecture of the College of Architecture’s new Frederick E. Giesecke Endowed Lecture Series, features Graham Phillips, an internationally acclaimed architect and principal with Foster and Partners Architects. Phillips' will talk about working for 30 years alongside the firm’s world renowned founder and chairman, Norman Foster. The event is set for 5-7 p.m. Friday, April 7 in the Preston M. Geren Auditorium in Building B of the Langford Architecture Center. See complete story at the top of this page. First Friday lecture: ”Computational Grids: Analyzing the Performance of Applications,” will be held in Room 206 of the Memorial Student Center. Lunch will be provided to registrants at 11:45 a.m., the workshop will begin at noon. To register, visit http://vpr.tamu.edu/registration. 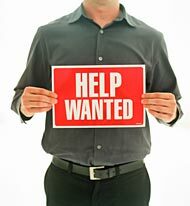 Hazard Reduction and Recovery Center Staff Meets 10 a.m. - noon in Langford B 209 to discuss HRRC research initiatives, make assignments, and provide a forum for staff and student presentations. For more information, contact Carla Prater at 862-3970 or carla@archone.tamu.edu. VIZA Admissions Committee meets 2 - 4 p.m. In Langford C 429 to review admission applications for fall 2006. For more information, contact Margaret Lomas at 5-3465 or marge@viz.tamu.edu. Dollhouse Big Build Day Silent Auction Continues: Saturday, April 8 in the Langford A Atrium Kim Carlson's construction materials and methods class will continue their silent auction of custom-built dollhouses. Proceeds from the dollhouse sales go to construction science scholarships. For more information, contact Kim Carlson at kimcarlson@verizion.net. “Building Modeling: Redefining the Design Process,” is the title of an April 10 lecture by E. Davis Chauviere, AIA, principal and chief information officer with HKS Inc. The lecture, presented by the Texas A&M College of Architecture’s CRS Center for Leadership and Management in the Design and Construction Industry, will be held 1-2 p.m. in the Preston M. Geren Auditorium in Building B of the Langford Architecture Center. Chauviere’s presentation will focus on a variety of aspects related to building information modeling (BIM). Study Abroad Orientation - Italy & Spain: 6 - 8 p.m. in Langford C 111 and C 208 an orientation class will be held for students who are planning to study abroad in Spain and Italy. For more information, contact Dolores Gonzales at 458-0102 or dgonzales@archone.tamu.edu. College of Architecture’s Executive Committee meets 9 - 11 a.m. in Langford A 217. For more information, contact Sue Wade at 845-1223 or swade@archone@tamu.edu. The Construction Science Spring Awards Banquet will be held 4 - 11 p.m. Wednesday April 12 at the Hilton Hotel in College Station. The Awards Recognition Ceremony runs from 4 - 5:30 p.m. and the banquet will be held 6:30-9:30 p.m. A "casino night" and auction. will follow the banquet. The department will present more than $175,000 in scholarships. This year, for the first time ever, freshmen students who have been admitted into the program will be invited to attend the event. Keynote speakers include Pat Kiley, executive director of the Houston Chapter of the Associated General Contractors of America, and Gary Blair, Texas A&M women’s basketball coach. Banquet guests will be coming from all across the United States. As is typical at this event, a constructor will be named to the department's Construction Hall of Fame. In addition to the awards ceremony and banquet, earlier in the day the Construction Industry Advisory Council will hold its spring board meeting. The CIAC currently has over 75 corporate members. Larry Fickel, construction manager with Shaw Construction in Grand Junction, Colorado, is the current CIAC president. For more information, contact Ann Eastwood at 845-0289 or aeastwood@archone.tamu.edu. Art Car Painting Party: Bring your own paintbrush and join the fun Thursday evening, April 13 as Mary Saslow’s art students apply their varied and considerable talents to painting an art car to be entered in the 19th Annual Everyone’s Art Car Parade in Houston. Student Ara Walter’s father and his car partner, Brian Thomas, built the car, “the B&B Doubleheader,” from the front ends of two Dodge Caravans. Like Dr. Doolittle’s celebrated mutant llama, the pushme-pullyou, the Doubleheader is always coming and going at the same time. The car is to arrive at 5:30 p.m. and will be parked in the area between Langford Buildings A and B, which will be closed to traffic. 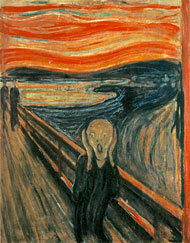 The painting will continue until the job is done. Tentative plans call for a car to be adorned with a hodgepodge of two-headed characters. Tom Regan, dean of the College of Architecture at Texas A&M University, welcomes the crowd at last Friday evening's gala Centennial Celebration finale at the Miramont Country Club. The 100th birthday commemoration, followed last Saturday with a college-wide Open House, wrapped up a yearlong celebration of 100 years of architectural education at Texas A&M University and in the state of Texas.